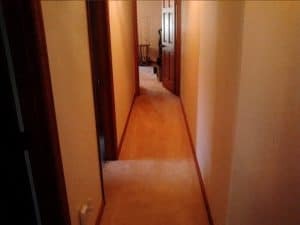 Our sample “walk through” inspection gives you a feel for the inspection we perform for you. This will help you better understand what we do. 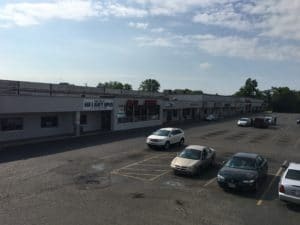 Let’s start by suggesting that it is always better if you can attend the inspection of your commercial building. If it is not possible for you to attend we can take more photos for you- just let us know. The inspection report is self explanatory and reader friendly with each area individually reported. However, it is easier to understand the report when you have followed the inspector throughout the inspection. During the inspection you will be encouraged to ask questions about the property and voice your concerns, no matter how trivial they may seem at the time. This is your opportunity to learn about your investment, its systems and controls, as well as safety and maintenance issues. The inspector begins by explaining the inspection process and how the inspection will progress through the building as a brief overview of what the inspection entails. Every inspection is unique. Starting with the stove, vent hood, cabinets, counter top, plumbing, all the accessible receptacles, light fixtures, air vents and returns, windows, walls, floors, ceiling, and doors. All are thoroughly inspected and operated by your inspector. The report will include the brand names, equipment types, and descriptions of the appliances. 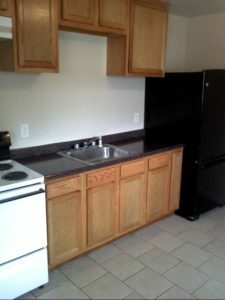 Descriptions of the cabinets, counter tops, sink, faucet type, as well as floor and wall coverings are documented. Ceiling finish, electrical receptacles and/or lighting, window types, and HVAC source are all noted. All the windows are opened and closed. The glazing and locks are checked. All accessible electrical receptacles are tested for correct polarity and proper grounding if applicable. All lights are operated. Air vents and returns checked where accessible. The floors, walls, and ceilings are examined. Doors are operated and storage areas inspected. The report will describe the wall and floor coverings as well as ceiling type, the door and window types, the type of electrical supply (receptacle and/or lighting), and the type of HVAC supply. 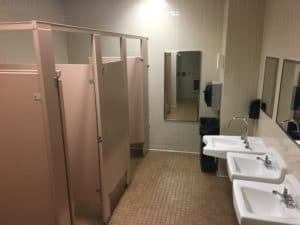 The inspector will discuss various aspects of the room or work area with you, pointing out the positive features as well as any immediate or potential problems. During the inspection you will be learning useful maintenance tips and helpful hints for future improvements. Sinks and faucets are operated and checked for secure mounting, leaks, or damage. Toilets/ urinals are operated and and observed for damage. Ventilation and GFCI receptacles are all checked for safe operation. Cubicle partitions and doors are checked for damage. The system is inspected and operated. 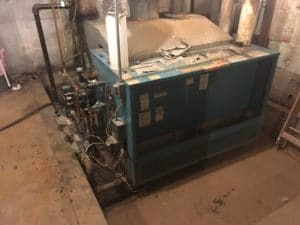 The furnace or boiler along with the blower, burners, flue pipe, draft control, chimney, fuel lines and disconnects, electrical connections, shut off switches, and air filter are all examined. Boiler pumps, pressure settings, pressure valves ,and expansion tank are inspected. The location of the system, brand name, capacity (BTU’s) and fuel type along with approximate age and a description of the area served is noted. Distribution, flue pipe type, thermostat type, and additional devices are noted. Units are inspected and the temperature difference between the flow and return vents is monitored. The compressor, condenser, evaporator coil and fan are all examined. Refrigerant lines, piping insulation, condensate drain, and condensate pump are checked and operated if applicable. The electrical supply and overload protection devices are checked. 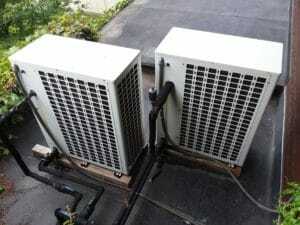 Manufacturer, type of cooling, location, area served, fuel, and temp differential (delta-T), refrigerant lines, along with the type of electrical disconnect, condensate removal, thermostat, and condition of the coil and condenser are noted. All the water, drain, and vent pipes are inspected for damage, leaks, or deterioration. The report describes in detail the types of piping used for the water main, interior water lines, drain, and vent pipes. Location of the main water shutoff is noted. Water softener operation is recorded. 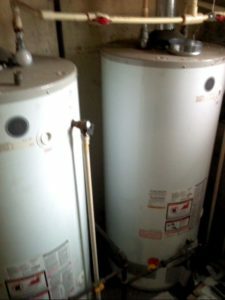 The water heater condition and operation is checked, burner examined, and the flue pipe condition and installation are noted. Gas lines or electrical connections are examined. Water temperature (approximate) and pressure relief valve are checked as well as the plumbing connections and shut off valves. Its location, operation, manufacturer, fuel type, approximate age, capacity and area served are noted in the report, along with the type of flue pipe and info on the TPR valve and pipe. Breaker panels will have the covers removed and the wiring connections examined. The wiring is checked for hazardous conditions (over fusing, double taps, scorching etc). 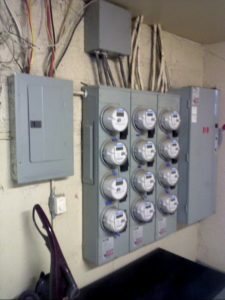 For your information the incoming service size, voltage, amperage, and wire type, along with information on GFCI’s, grounding, and smoke detectors are noted. The electric panel location, manufacturer, maximum capacity, size of main over current protector, description of breakers or fuses, and bonding are documented. Sub panels are fully described. Particular attention is paid to the foundation walls and floor. Signs of cracking, bulging, bowing, damp, mildew, rot, or other serious problems are investigated, discussed with you, and noted. Sump pumps are operated, water level monitored, and the non-return valve checked. 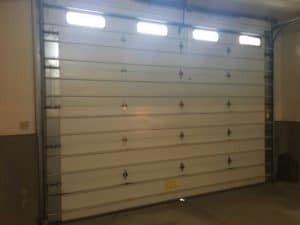 The first floor joist system, sill plate, and band board are examined as well as all the wiring, plumbing, and heating and cooling components. Ceiling, floor, walls, doors, windows, stairs, and electrical components are all described. 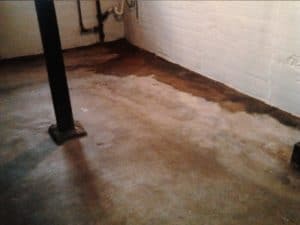 Floor drains, sump pumps, insulation, and ventilation are noted in detail. The inspector will continue to point out any problems and answer questions you might have. ..is entered and examined in its entirety. The access ladder is checked for safe operation. All roof vents are examined. The roof decking is inspected for signs of rotting/ rusting, leaks, or serious structural failure. 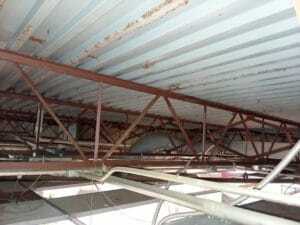 The trusses and rafter systems are inspected for signs of damage, modification, or incorrect repairs. All lighting, wiring and junction boxes are inspected. The flue pipes, plumbing vent pipes and insulation are examined. Roof framing and sheeting types are identified. Ventilation and insulation type and depth recorded. 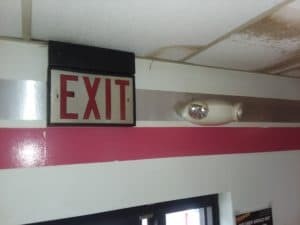 Safety lights and exit signs are tested as as well as any smoke alarms that are not connected to a central alarm system. The report describes the type of smoke alarms in the building. The floor, walls, roofing system, receptacles, lighting, and windows are all inspected. The loading dock doors and door openers are operated. Load bearing walls, beams, and posts are all examined and condition noted. 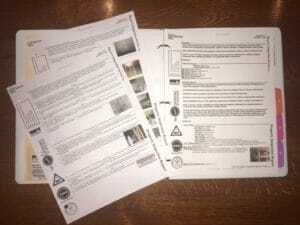 Descriptions of hose bibs, lighting, receptacles and heating are entered in the report. The inside is complete! This is where a lot of problems can exist that affect the rest of the building. In this phase of the inspection, particular attention is paid to the exterior facades and the foundation area, considering the exterior envelope is critical to the structure. The inspector looks for cracks, sagging, bowing, or deflection which are possible signs of serious structural failure. Deterioration of any siding products or issues with exterior finishes like EIFS are noted. The exterior of all windows and doors are examined for damage or potential leaks, and the condition of all the trim and caulking is observed. The type of exterior finish and trim types are described. Soffit and fascia types are noted. The entry doors are inspected and described. 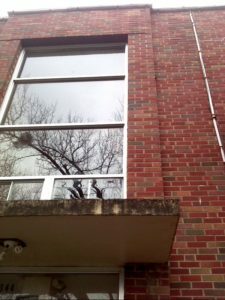 The types of windows, any storm windows, and screens are noted. Exterior hose bibs and electrical receptacles are all checked. The roofing material is examined looking for signs of deterioration, damage, wear, or failure. 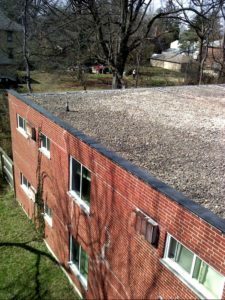 The roof is likely the most important area of the building. Generally the inspector will walk the roof. If it is very high or steep we may use binoculars or inspect from a ladder at the eaves. Gutters and roof drainage systems along with flues, vent pipes, air intakes, and any other protrusions are inspected for damage or failure. The report notes how the roof was inspected, the material type, as well as approximate age. Types of flashing, valleys, and skylights are documented. Chimney locations, type of flue, cap/crown and flashing as well as the plumbing vents, gutter, downspouts, and leaders are all identified. The area around the building is described. Type and condition of the driveway, parking areas, and any surface drains are reported. Walkways, entrance/overhang, and steps are inspected and their overall condition is noted. Drainage and grading issues are identified. Comments are made about trees and bushes that appear to be too close to the structure. Any pest or infestation problem observed by the inspector will be brought to your attention and recommendations made. *This is not a substitute for a termite inspection. …printed on site at the end of the inspection and presented in a hard cover folder (if you did not attend it can be mailed to you). Along with the inspection report you will receive a copy of the summary pages for your real estate agent. Later that day you will get an electronic copy by email. Also included are the inspection standards (explaining the protocol the inspector used to base his observations on), along with a basic maintenance schedule and information on safety in your property. If you have questions that this “walk through” did not address, please call us with your queries or concerns. 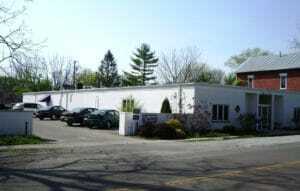 We are always happy to talk with you to discuss and explain any facet of our inspection and the process.